Botswana - If Uganda is the pearl of Africa, Botswana is the Emerald. 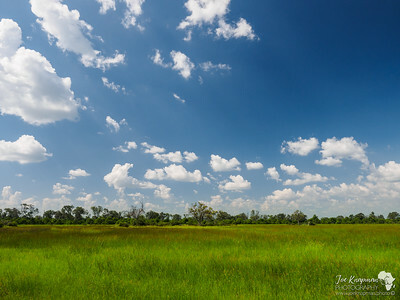 A green lush and rich in wildlife country in Southern Africa. 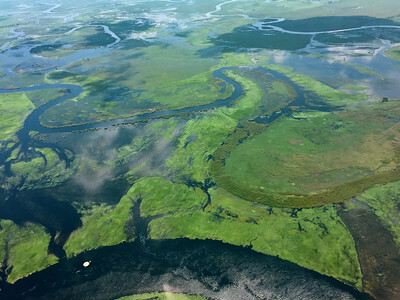 Despite being landlocked, the Chobe River and the Okavango Delta make this a paradise for wildlife, big and small providing year round water to these areas. Having been to (and loved) Chobe and Savuti on many occaisions, When I heard Pangolin Photo Safaris were to open a new camp in the Khwai Private Reserve in the Okavango, this was an opportunity I had to be a part of. With the Official opening in April 2018, I was privileged to be part of their soft opening in March 2018. So with 5 nights planned in the delta, I just couldn't resist adding on another couple of days first in Kasane and make the most of a week in Botswana. The Pangolin photo boats are designed to allow low angle and close up photography and sightings from the river, in specialised boats offering incredible stability. Staying at the Old House (From July 2018 Pangolin Photo Safaris will have their own lodge in Kasane), I spent two days with Photo Guide Janine Krayer, who I envy getting to do this every day. One of the big advantages is they can provide cameras and lenses as well as memory cards, saving the hassle of either carrying lots of gear, and avoiding those crazy luggage restrictions many airlines place. I used my own camera equipment allowing one body set up on the mounting and one in hand for those closer or wider shots. The river was in full flood - different to the drier seasons when I had previously visited and was not dissapointed. Elephants drinking and playing, Handsome Kudu, Kingfishers, storks and herons even a couple of lions were watching the sunset, as we had a cold beer enjoying the moment. 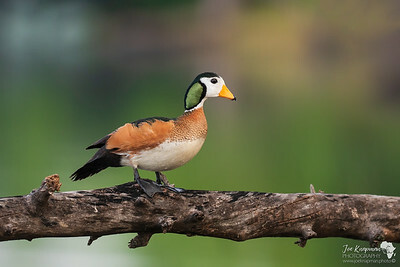 A few favourites were the Southern Red Bishops in breeding colours, black herons fishing and a Puku - an endangered antelope from the Lechwe family. Killer, our boat captain did an amazing job allowing us to slip close to the wildlife - not to disturb them and get the best position for light and viewing. Janine works with the guests no matter their level of experience, providing guidance and advice both technically and artistically. No matter how experienced a photographer you are, some sightings can be overwhelming. Janine provides real expertise with the subjects and pointing out key elements to focus on. 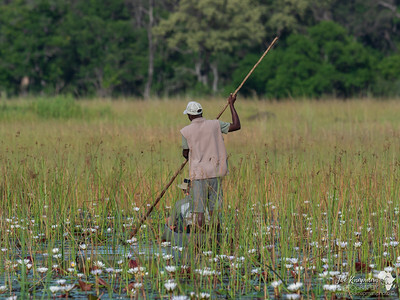 As the rains stop in Angola, it floods first the Chobe River, then the Okavango itself - meaning the dry season in Botswana is wetter in the Okavango - gotta love nature. Back to the review. I was the only passenger to get off here and MD, my guide and Teenage, our tracker were waiting to greet me. 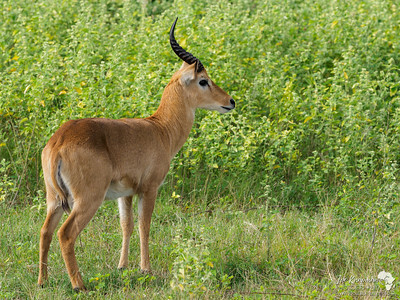 Given the airstrip is in Khwai, where the nearest town is several hundreds of miles away, just the drive to the camp was a full game drive in itself, passing Red Lechwe, Giraffe and abundance of birdlife. So a quick shower, change, a bite to eat and I set off with MD for my afternoon game drive. 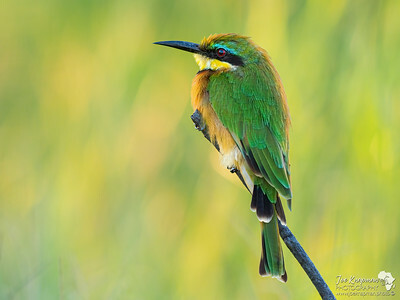 Sundowners offered a very accommodating little bee-eater to photograph on foot just 4 meters away. Back at Camp and a fantastic meal was served where other guests had joined who flew in from Maun that afternoon. No Wifi, TV or even a cell phone signal means lots of time to get to know others over dinner, a beer or wine and generally have a good time and actually relax. A restless nights sleep had nothing to do with the luxury of the private tents or comfort of the beds, more the hippo that was munching the grass at 3am right outside the deck of my room. this big guy was splashing and munching his way feet from me as owlets and nightjars flitted around. I was too excited to sleep - not wanting to miss a moment. You do need to be a morning person with wakeup at 5am. 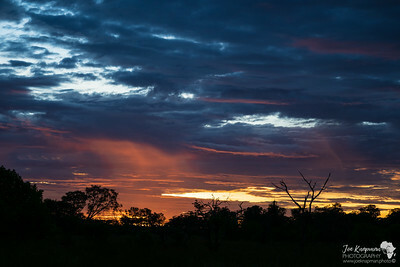 A caffeine pick me up, with fresh filtered coffee and a light breakfast and cameras ready for another day in the bush. 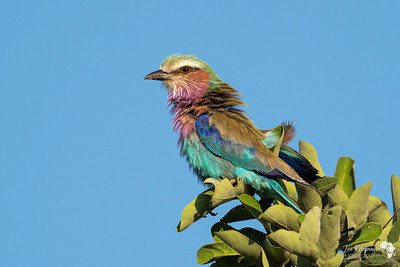 The drive started slowly with a wonderful tower of giraffe, Lilac-breasted rollers readying themselves, Coppery-tailed coucals, Zebra and other beauties. Shortly after this meandering we found the resident pride of lions, 3 healthy males, 3 females - one of them was huge, and 6 cubs about four months old. The advantages of the Khawi private reserve is the ability to off road - through the thick Kalahari Apple-leaf bush where were were given a spectacular sighting. Gaps in the trees and using the bush as natural framing gave great photographic opportunities. After lunch the exploring continued with sightings of Southern-redbilled hornbills feeding chicks, Red Lechwe in the grassy marshlands and hippos at sundowners. 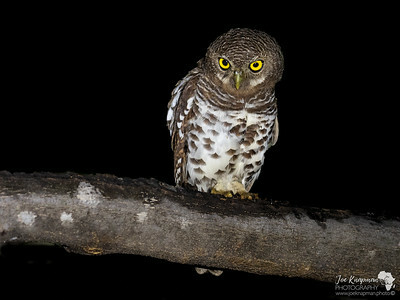 Even back at camp the resident African Barred owlets continued to allow sightings and photography in to the night. Each day was a similar routine - but nothing routine about the time in the bush. Mother Nature would share something unique every day. 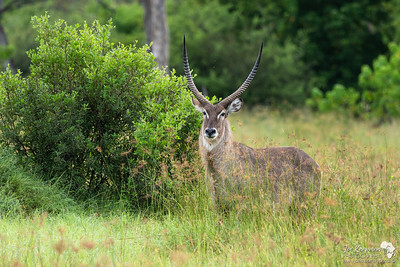 The second day a heavy shower started, with a few electing to pass on the afternoon game drive. With a poncho and weather sealed camera and lenses though - perfect opportunity to shoot wildlife in the rain. I live in Scotland - so warm rain is a blessing. This was the only day it rained during an activity, so wasn't a big deal. Afternoons at the lodge provided additional birds to photograph that are not normally viewed from a game vehicle such as the Brubru, Longbilled Crombec, Bennett's woodpecker, Grey-backed Camaroptera, yellow breasted apalis and several flap-necked chameleons showed themselves after the rain. 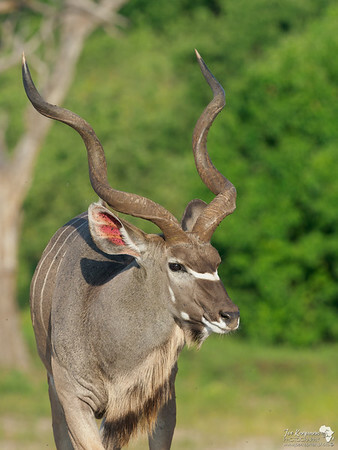 I could go on and list wildlife - elephants, Hippo, kudu - the lions (4 times - not sure if I mentioned the lions) but you get the point - an Abundance of wildlife in a truly vast untouched region, with no one else around. It felt like my private safari. The guides and trackers were great fun - and very knowledgeable as expected on the area, flora and fauna. As with Chobe, Sabine or Charl as host photo guides would join a vehicle each with a maximum of four guests, giving expert technical tips and composition advise as needed or asked. We could spend as long or as little as needed with any sighting, often using the opportunity to experiment and practise more after getting the "record" shot. The shoulder season does make for more challenging photography - due to the ever changing cloud cover, light and the dense green lands. This though gave me the opportunity to stretch myself, not to take the easy shot and experiment more with exposure and work within the limits of my equipment. My last morning game drive I set off at 6am as usual and spent and incredible sighting with the 3 lionesses and 6 cubs playing, when a lone male came and took interest in the ladies. Skirting around them nervously this handsome fellow gave some really nice close up opportunity. Heading over to the airstrip for my charter flight back to Maun we came across the wild dogs. What end ending - just resting in the middle of the road less than a km from the airstrip. 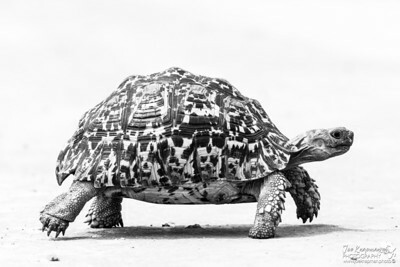 Even then it wasn't fully over, at the airstrip we checked the runway was clear and a huge leopard tortoise was making his way across. Fortunately I hadn't packed my camera gear away so took the opportunity to get down low and use the white strip to over expose a nice B&W image as he safely made it to the other side. In Africa it is never over until you have left. I should add here - this safari is not just for photographers. Yes the benefit of professional photo guides is a huge boost, but for the non photographer, the opportunity to see the detail, the little things, watch the behaviour is something that photo safaris pick on. 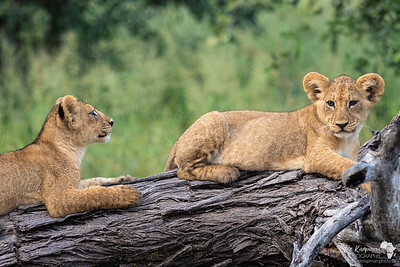 A photo safari you can learn to watch for the sign of a lion or hippo yawning, or when a cat is going to get up and do something that is other than sleeping. Even watching for that kingfisher to poop - a sign it is going to strike or fly. A non photographer will likely get as much out of this kind of safari than normal, and learn some of the more intimate behaviours. After all - it is all about the wildlife. Ever noticed how long a Zebra's eyelashes are? How intricate the patterns of a guinea fowl's plumage or even the small hairs along an elephants trunk? 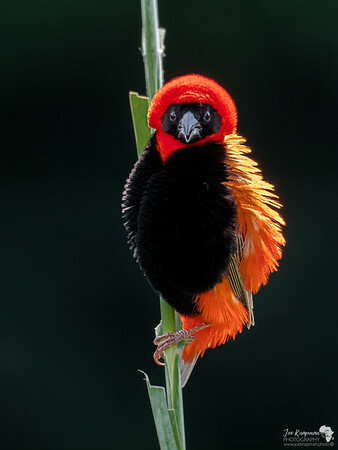 you do not need to be a photographer to witness the details that photo safaris can point out. The brand new camp in the Private reserve is truly stunning. Rustic and totally off the grid offers far more that comfort and style. With a maximum capacity of 12 guests it truly has an intimate ambiance. The staff are amazingly friendly and feels very homely. The Pangolin Camp is fully inclusive. The main building is the hub of the camp, with a dedicated area for charging, photo editing and camera storage, a friendly sunken fire pit for evening drinks overlooking the open lands, a superb dining area and bar. A resident photo guide will join one vehicle each day - although during my stay both Charl and Sabine Stols were here, an added bonus to have two between the 3 vehicles. Pangolin will also provide Canon cameras and lenses to use should you not wish to carry your own or unsure on making an investment in to digital cameras. Between drives they will be available to help with photo editing, reviewing your images and general photography questions and support. The rooms - fixed permanent tents are very spacious and a delight to relax in. Each offering private views, with plenty of space for storage, battery charging, solar powered hot water, toilet and showers. Every detail seemed covered from each room being provided with essential toiletries, towels, insect repellent etc. This is far from camping - do not let the word tent dissuade you. Watching the fire flies at night from your deck or hearing the hungry hippos or lion and hyena call in the night, you realise just how wild this place is. 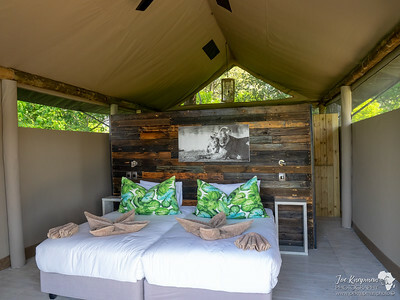 Additional inclusions are laundry, all game drives and a mokoro trip in the wetlands and all drinks, with the option to add a helicopter ride at a cost also. One of the nice touches is a permanent coffee station in the main building - for caffeine addicts like me, that was very much a welcomed addition. I chose pangolin for their expertise not just as photo hosts and safari experiences, but their tried and trusted values. 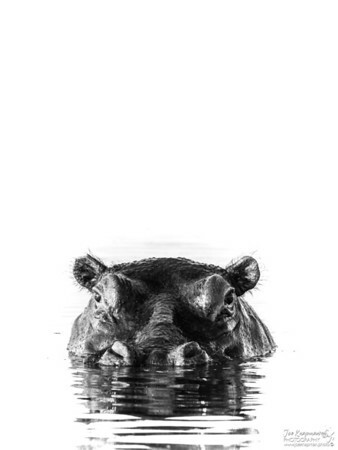 Their dedication to ethical wildlife photography, reputation, with great photo guides and commitment to conservation is a testament. The Khwai camp is a fantastic addition to their existing fixed offerings of the Chobe house boat, mobile camp and Chobe photo boats. Additionally pangolin offer a range of photo safaris through African and beyond. A big part of any safari are the people. From the staff, guides and as important the other guests made this a friendly and invigorating experience. It becomes far more than the sightings and photographs. I feel I have come away with more friends than before I arrived and look forward to my next experience. Meeting up with Janine in Chobe, and Charl and Sabine in Khwai was like meeting old friends - despite only spending a few days in 2017 with each of them. For me I am please to be one of the first to experience this adventurous establishment, and new chapter in Pangolin Photo Safaris journey. I certainly plan that this is not my last in Khwai, and certainly not my last time with Pangolin. 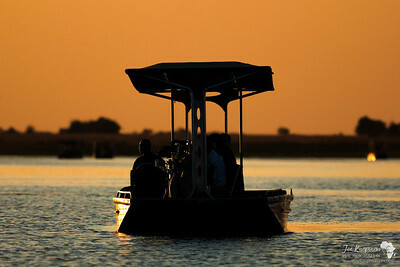 With 4 nights planned at their brand new lodge at Chobe, in July with my family, I cannot wait to be back in Botswana. Four nights is an ideal time in this paradise, and Pangolin has done a great job to make this truly unique and authentic. 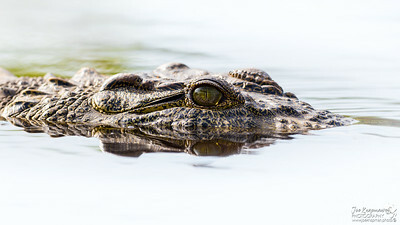 Chartered flights can be arranged via Maun or Kasane through Pangolin - and both have great connections through the region and with Johanessburg / Cape Town. This allows for easily extending or combining with More, Chobe, Victoria falls amongst other destinations in the region. Coming Soon...A full set of photographs from this trip will shortly be available in the Galleries menu.